Kit A500/500+ There are 3 products. Standard quality Capacitors batch for Amiga 500 rev 5N.B. : take good care of the desired capacitors kit according to your motherboard revision ! Amedia Computer can not be responsible for a mistake in the choosen kit ! 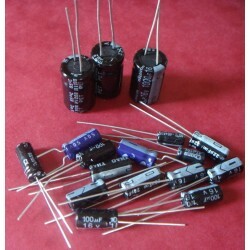 Standard quality Capacitors batch for Amiga 500 rev 6A N.B. 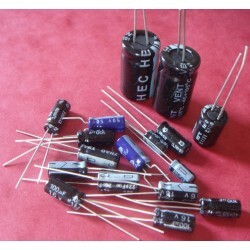 : take good care of the desired capacitors kit according to your motherboard revision ! Amedia Computer can not be responsible for a mistake in the choosen kit ! Standard quality Capacitors batch for Amiga 500+ rev 8A.N.B. 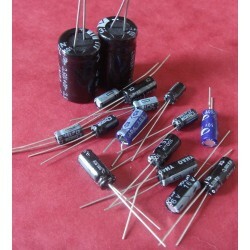 : take good care of the desired capacitors kit according to your motherboard revision ! Amedia Computer can not be responsible for a mistake in the choosen kit !